Fitting tyres: What to look out for? Stony tracks, uneven roads, potholes – tyres have to withstand a lot. As the direct link between the car and the road, they are subject to a lot of stress. They must be replaced from time to time to ensure that they always roll reliably. This means that the tyre, i.e. the rubber, must be removed from the rim and changed. Unlike changing a wheel, you should never attempt to mount tyres on rims (together they form the "wheel"), on your own. 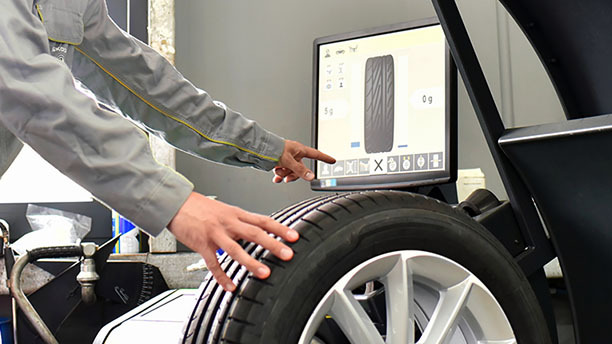 It is best to have the tyre change carried out by specialists and using a special tyre changing machine. 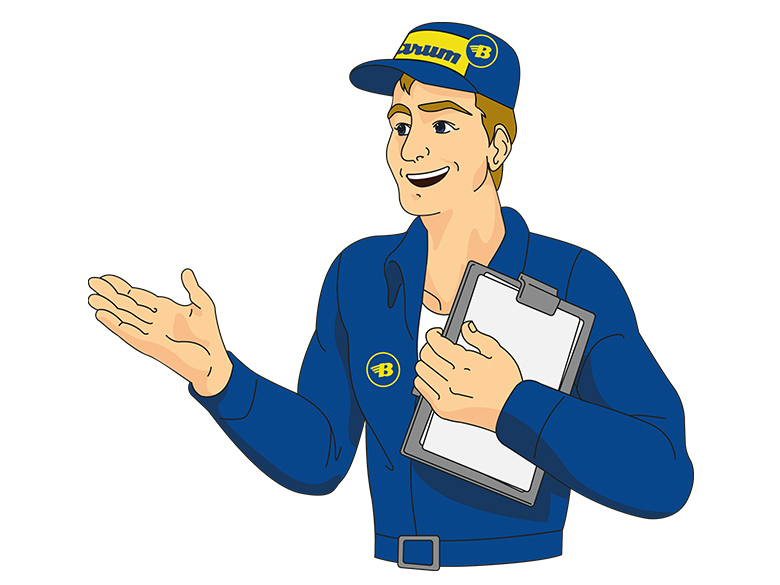 Take note: Only garage employees are allowed to change run-flat and high-performance wide tyres. Tyre balancing: What is it? A special tool is vital for changing tyres. 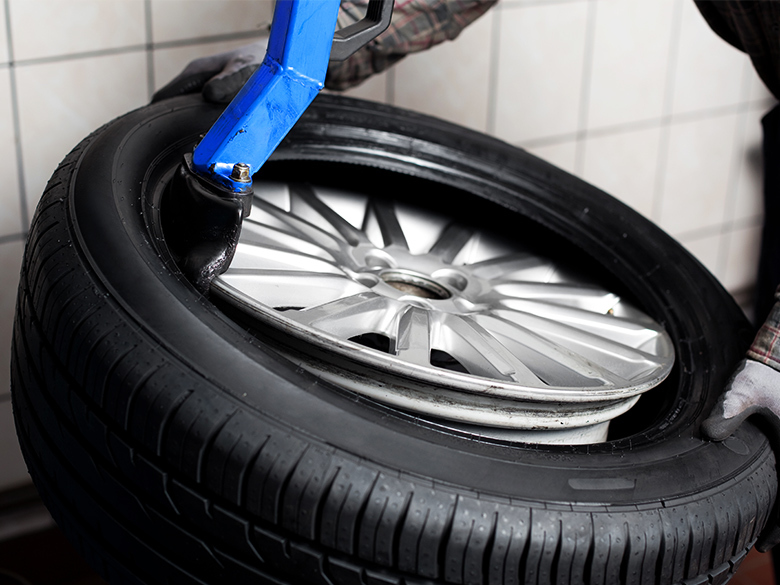 Specialists usually use what is called a tyre changer for removing and mounting new tyres. It is fitted with a mounting arm and a bead breaker, and without one of these, it is barely possible to change a tyre. 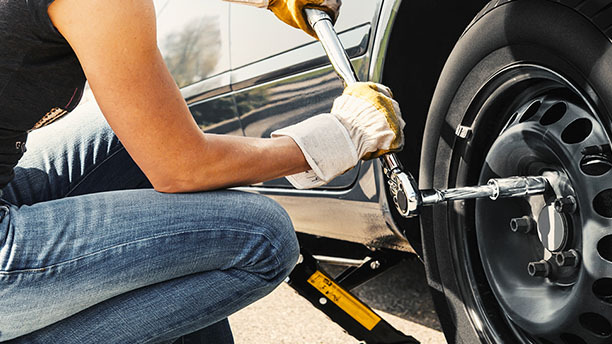 The old rubber must be removed before a new tyre can be pulled onto the rim. This first stage is done manually, and the mounting machine is used afterwards. The garage employee first jacks up the car so that they can remove the wheel from the axle. Then the air must be released from the tyre. This is done by unscrewing the tyre valve. The mounting machine is next, so the bead breaker can detach the tyre wall from the rim. The garage employee positions the bead breaker on the tyre and the rim and presses down on it. The tyre is then turned once and the process is repeated. This dismantling step ensures that the tyre bead, i.e. the inner ring of the tyre, is pressed completely over the rim hump. The employee then clamps the rim in the mounting machine, removes the balance weights from the rim and then uses the mounting lever to position the tyre bead over the mounting arm. Now it's just a matter of pushing a button. The mounting machine (tyre changer) is made to rotate and the tyre is automatically pulled off of the rim. "The rim hump is an elevation on the rim that stops the tyre from slipping and losing air in tight corners. The tyre bead ensures that the tyre sits firmly on the rim. The rim hump supports the holding process." After the tyre is pulled off and before the new one is pulled on. Before the garage employee can fit the tyres and pull it onto the rim, they must check that the tyre size and tyre age are correct. Then the tyre mounting process can begin. "Car tyres should never be more than ten years old. It is far better to change your tyres after six years. You can use the DOT number to determine the exact age. The production week and year is marked on the tyre's sidewall." 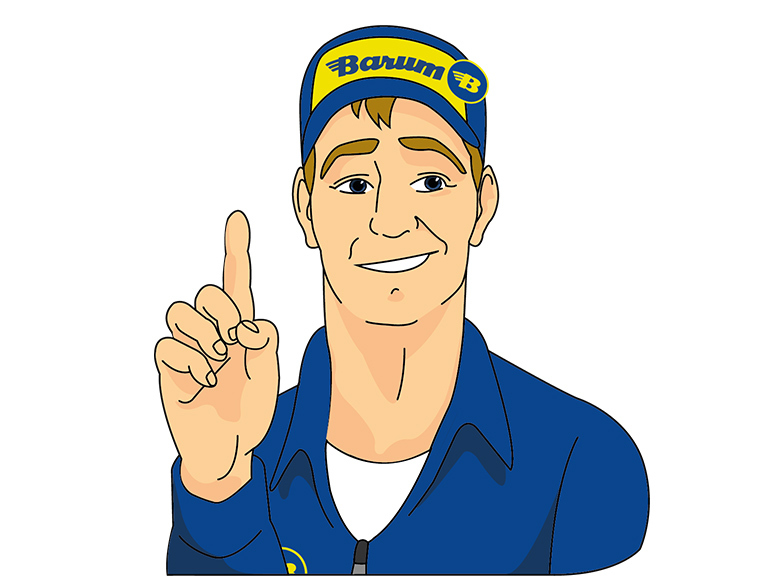 The garage employee first coats the tyre beads inside and outside with tyre mounting paste or grease to make the pulling on the tyre easier. The employee then clamps the rim on the mounting machine and uses the mounting arm to position the lower tyre flank on the rim's upper edge. The mounting machine is made to rotate so that the tyre is pulled onto the rim. The garage employee must repeat this process for the upper tyre flank. This simultaneously presses the tyre under the rim hump to ensure that the tyre will be firmly seated later on. The tyre can now be filled with air so that the tyre beads press against the rim and no more air can escape. 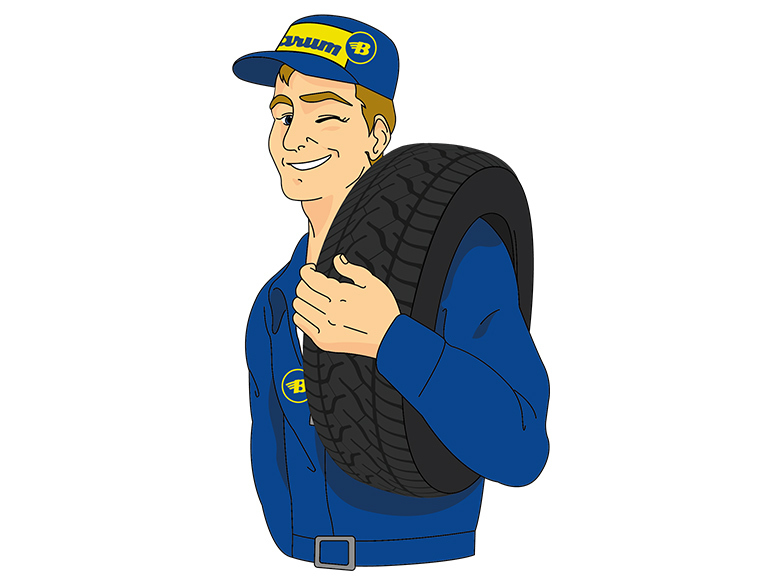 Finally, the garage employee inflates the tyre with air to the stipulated tyre pressure and then shuts the tyre valve. "With used tyres, the "better" ones with more tread should be mounted at the rear of your car. This ensures better driving stability. Automobile clubs recommend occasionally changing the tyres from one axle to the other in order to ensure that the wear on the front and rear tyres is distributed as evenly as possible." It might be necessary to fit small balancing weights on the rim after the tyres have been mounted: They compensate for any possible tyre imbalance and this prevents steering wheel vibrations and increases the mileage and driving comfort. To make sure the tyre runs "roundly" after mounting, it should be balanced. When should tyres be changed? If your tyres wear down to the legal minimum tread depth of 1.6 millimetres or are already below this, this means that the old rubber has worn down and a new tyre is needed. This is the time for tyre mounting. Is a tyre change more sensible than a complete wheel change? Not necessarily. Frequent tyre mounting and dismounting strains the rubber and the rim. This means it also affects the service life of your tyres. It is far better to change the complete wheel every season. Mounting new tyres is useful if your rims are still in good shape, but your tyres are showing signs of old age. You should always replace the tyres if there is irreparable damage or worn treads. "The tread depth of your car tyres is very important: The clearer the grooves and ribs on the tread are, the better grip your tyres will have on the road surface." 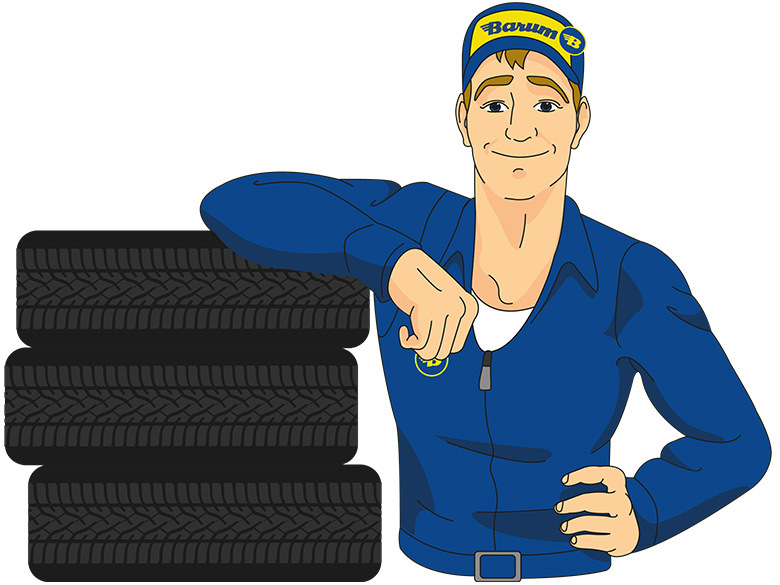 Increase the service life of your tyres by regularly having it balanced out. Find all important information in our guide. You should change your tyres twice a year. Follow our instructions and save time and money by doing it yourself.